Serving both residential and commercial clients, Todd Quality can provide a customized program to ensure that your property looks its best. Sit back, relax, and let us do the work for you! When you have spent money to develop the landscape of your home or establishment, it is necessary to keep it looking lush, verdant, and all installations in full working condition. 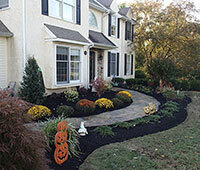 The company that can help maintain the beauty of your landscape is Todd Quality Landscape Services. We have been in the business of landscape maintenance for over 20 years. Our expertise encompasses all areas of landscapes from lawns and shrubbery to paved areas and water elements in your outdoor space. 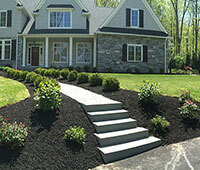 In our area, Todd Quality Landscape Services is the top landscape maintenance service provider and is renowned for quality workmanship and integrity. Our team consists of highly skilled workers backed by years of extensive experience in landscape work. We have likewise invested in all the tools and equipment necessary to complete all the jobs required by every project. 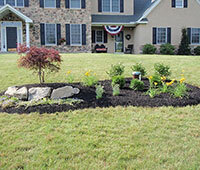 Todd Quality Landscape Services is committed to delivering work that ensures the satisfaction of our clients. We believe that a clean, well-cared for landscape is the key to a beautiful home so we treat landscapes just as they were part of our own homes and nothing less. Our maintenance service area includes but is not limited to: Phoenixville, Spring City, Pottstown, Limerick, Chester Springs, Wayne and surrounding areas. Contact us today to discover how we can help keep your landscape looking great year round!